Which are the best Free walking tours in Rome, Italy? There’s few places on the planet with such a tactile and rich sense of history and ancient significance as Rome; the many markers of the Roman Empire which still stand today are just some of the breath-taking symbols of Rome’s ancient legacy and reminders of the city’s historical importance. To really get to grips with Rome and its history, heritage, and modern cultural pulse, you simply cannot miss the opportunity to connect with a professional local city guide and taking a walking tour. As in any busy tourist city, there are a number of city tours to choose from here; but in Rome walking tours are the best option, and more specifically free walking tours, as you can roam (sorry) through the Italian capital and soak it all in without the worry of over-paying. So, which are the best free walking tours in Rome? Below, we share our top picks. 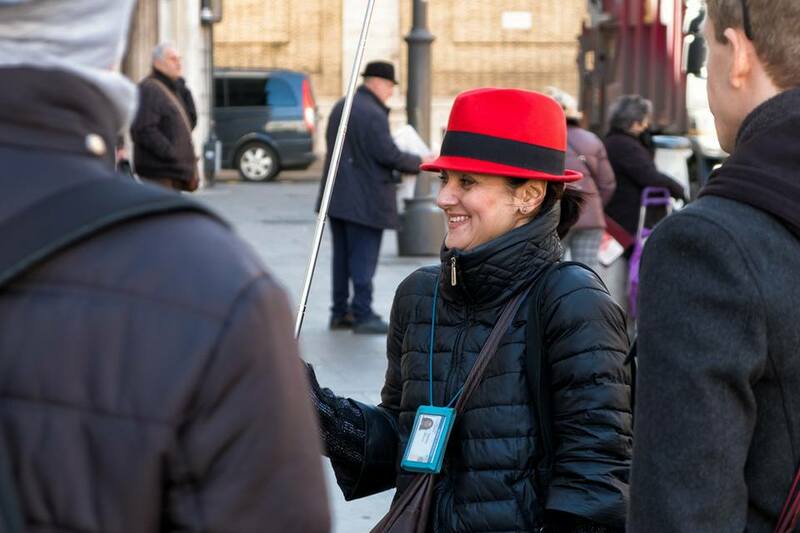 Rome takes its history seriously, and as such there is strict control around tour guide licenses, so there is always a risk that tours will be interrupted by inspectors and halting tours that are run by non-licensed guides. With New Rome Free Tour that isn’t something to worry about as they are all fully licensed and compliant professional tour guides. 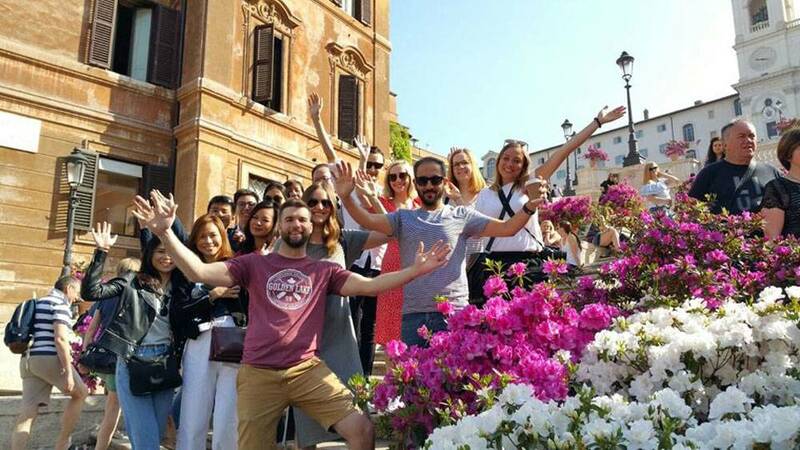 Despite the name, this tour isn’t so new at all, in fact they have been offering daily free city tours in Rome since 2009 and you really get a sense of pride and passion for Rome from these local guides. 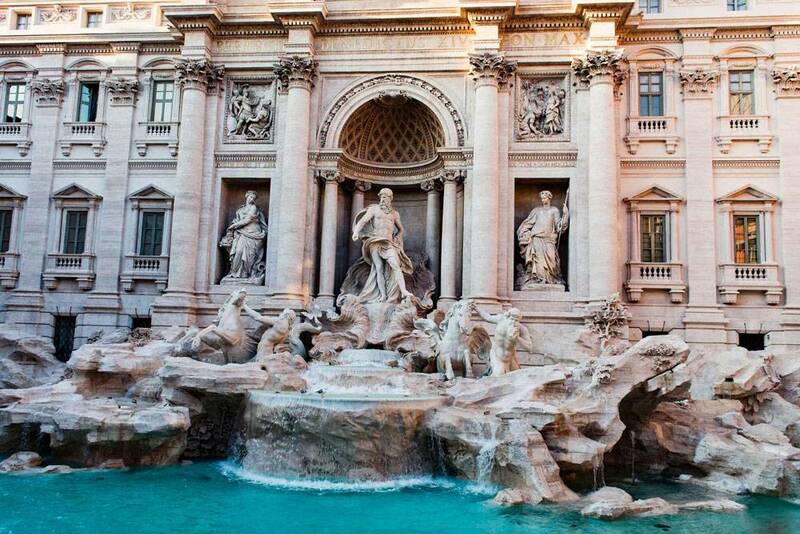 This tour covers all of the essential must see sights, including Spanish Square, the Trevi Fountain, Pantheon, the Temple of Hadrian, the Tomb of the Kings and much more, while revealing the remarkable history and stories, from bloody Gladiator battles in the Colosseum right up to the present cultural metropolis that Rome is today. This free tour of Rome runs every day at 9:30 A.M. and 5:00 P.M. and lasts approximately two hours, starting at the Spanish steps. If you want to delve a little further into Rome than a thorough overview, then you might consider joining the provider Free Tour Rome to explore the Jewish district and Trastvere which takes an in depth look at the Jewish ghetto and the vastly important legacy of Jews in Rome, as well as visiting key sights like Piazza Venezia, Theatre of Marcello, and much more. The same company also offer a free Vatican tour at night, which I guess can be an interesting way to spend an evening in Rome. In both cases, you can only join with an online booking which incurs a fee of €2.50, and you only receive notification of the meeting point after booking. Why all the mystery? I’m not certain, but they have been operating for many years, are run by top-notch tour guides, and have many satisfied customers’ reviews. You can also consider booking a private tour in Rome should you prefer a bespoke tour for you or your group. This would incur a cost but you would be able to cater the tour time, length and content to suit your specific schedule and preferences. If you have enough time, you could even consider doing day trips or organised day tours from Rome to surrounding regions and get an even wider view of beautiful Italy. We recommend asking your Rome free tour guide about different places worth visiting on day trips from Rome, such as Tuscany or Pompeii. Do I need to book a free tour in Rome? As we have seen in the above example, some providers may only accept participants with advanced booking. The first free tour we recommended does not have such a requirement, however, Rome being such a high profile and busy tourist destination, booking is absolutely recommended to ensure your spot on a tour. Booking via the tour provider’s own website is usually best practise, but you can find and book top quality walking tours on Freetour.com or the Freetour app without booking fees or charges. Always be aware of any ‘no-show’ or cancellation policies that a particular free tour provider might have in place when booking online. 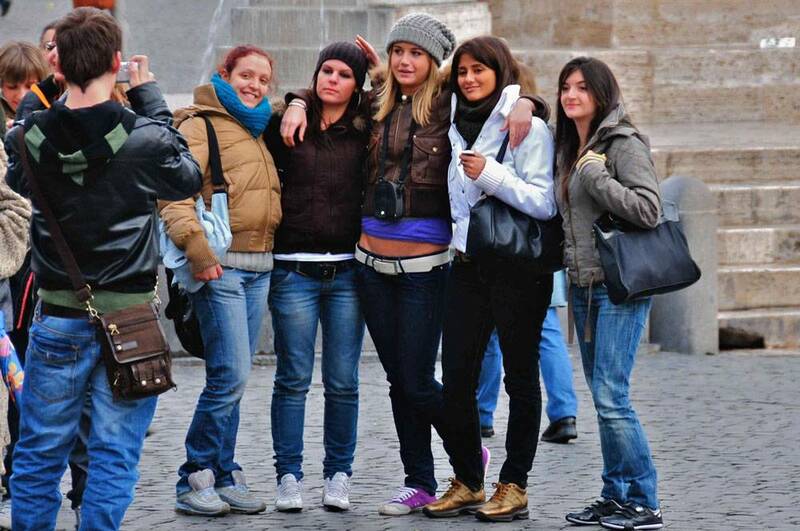 So, how much should you tip free tour guides in Rome? This will all depend on how you valued the city tour experience in Rome, the quality of the tour guide and, of course, on your budget. A good rule of thumb is to take all those factors into account and then gauge it against what the same walking tour would have cost as a conventional paid fee city tour. The cost of a general paid walking tour in Rome, depending on the type of tour, can be anywhere from €20 to €56 per person at the lower to mid-range, and as high as €85 to €110+ per person at the higher-end of the tour market. Our research with local Rome free tour guides shows the average tip is usually between €15 and €35 per person. 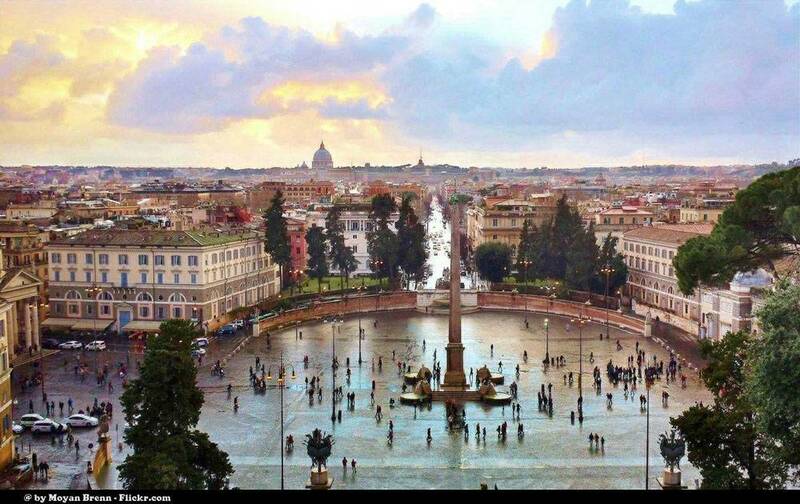 There you have our recommendations and advice for joining the best free walking tours in Rome. As the saying goes, “when in Rome…” so don’t forget to ask your city tour guide for local tips and things to do after your tour, they can mark everything for you on your free Rome walking tour map.